A chief Haiti prosecutor has appealed a controversial court ruling that led to the release and acquittal of Woodly Ethéart, aka Sonson Lafamilia, an indicted kidnapper with close ties to the presidential family and charged with murder, drug trafficking and operating a kidnapping ring. 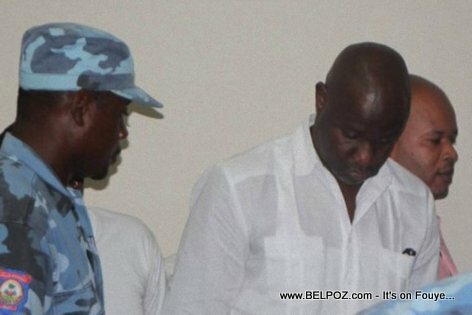 KREYOL: Haiti Jistis - Sonson La Familia sanle retounen nen prison ankò... Nouvo Komisè gouvènman an Clamé Ocname Daméus lage dèyè misye nan kou dapèl... Kisa ou panse de sa? Justice Minister Pierre-Richard Casimir told the Miami Herald that the appeal was filed with Haiti's Supreme Court on Monday by newly appointed Port-au-Prince prosecutor, Clamé Ocname Daméus. Daméus filed the appeal shortly after he was sworn in to replace chief prosecutor Kherson Darius Charles, who was fired Monday.